In the world of Internet-enabled devices along with online streaming and daily usage of the Internet, it is quite important to pay particular attention to safety. Whether you are working from home or making the financial transaction via the Internet or even letting your kids play various online games, you must make sure your network is aptly secured. Today, we use the internet for a lot of daily tasks such as transferring money, getting an appointment at the doctor’s office or buying stuff online. All these activities use personal information which should be kept private on your network. We got to know about Bitdefender BOX from the internet security software manufacturer Bitdefender Antivirus, and checked it out to see how it secures the home network. 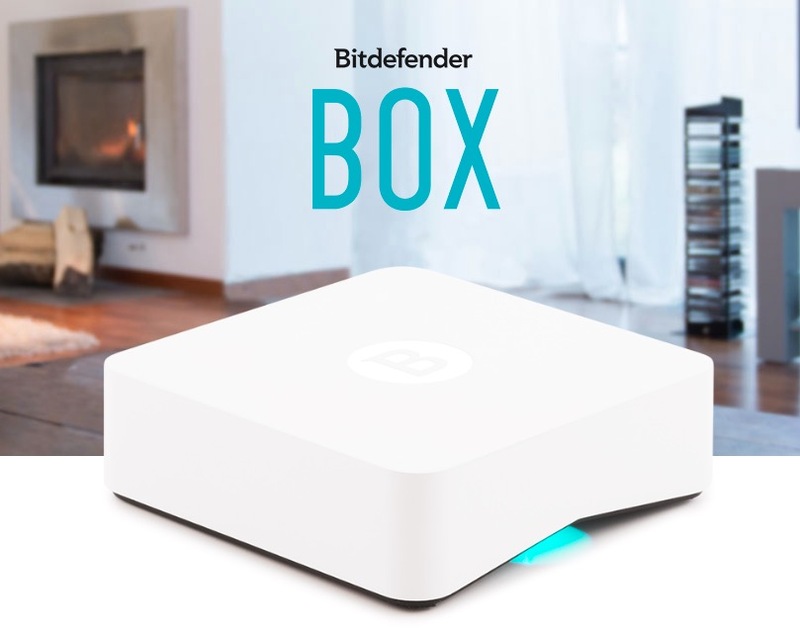 The Bitdefender BOX is quite small and looks like a very futuristic white box which you can hook to your network router. This box ensures that your network is free from malware and various type of phishing attempts. That means that this box tries to protect your private details and confidential data from hackers and other cyber criminals who may try to access your information. Because it’s an IoT device, it not only provides security to the computers, but also to other devices which are connected through Wi-Fi, including your smartphones, television, smart appliances or even your doorbell if it’s “smart”. This device not only protects and keeps tabs on your various gadgets, but it also provides similar protection to mobile devices on any Wi-Fi connected device even when you are on the move. It encrypts your communications and scans for various threats. Even if you aren’t at home, the BOX provides and monitors security to all connected devices. When it comes to installation and getting started, the process is quite easy. In a few minutes you can connect this BOX with your router using an Ethernet cable or any existing Wi-Fi connection. In place of other more rudimentary IoT security solutions, you have a beautifully crafted box which draws attention and is quite a good piece when it comes to showing it off in front of your friends and family. If you encounter any issues related to the device, just call the Bitdefender customer support, and they will provide you an instant solution. It also comes with email support which is there for you in case you don’t want to talk on the phone. The Bitdefender BOX app is available on both iOS and Android which allows you to monitor your devices regardless of your choice of mobile phones. It’s also great for parents. You can easily keep tabs on and monitor various online vulnerabilities your child may have accidentally exposed themselves to, and you can do this via the app. The included subscription plan offers you protection to any number of devices which also means that you don’t have to worry about Wi-Fi enabled doors, baby monitors and protection of your computer over any other device. As soon as you open the box, you will definitely realize that it comes with short power cords. To connect the BOX, you will need to use an extension cord. Also, the Ethernet cable which is connecting the BOX with the router is a bit short. When you install the BOX, you will have to reset all the Wi-Fi enabled devices which means you have to turn the Wi-Fi connection off and then on again after a few moments. By following this procedure, the BOX can easily locate the devices on your network. It can be difficult at first to know for sure if the Bitdefender Box is currently working or not. You have to give few hours after which you will get notifications informing you about malicious websites and unsecure downloads. When it comes to performance, Bitdefender BOX provides great security to your personal data and online browsing. It gives notifications regarding bad websites, phishing attempts and other things which you wouldn’t be aware of otherwise. If you don’t have any antivirus software to keep information on your kids safe, or your banking transactions and other things with access to your Wi-Fi network, then this device is a must have for you. It will definitely save your family a lot of trouble, and keep your important data from getting into the wrong hands. This is how we end our overview of the Bitdefender BOX. Try this great device for securing your online environment and do let us know about your experiences. Don’t forget to mention your views and suggestions in the comment section below.